Meet the New AmazingGoodwill.com Bloggers! To bring our followers even more advice on the latest fashion, home décor and general lifestyle trends, AmazingGoodwill.com is happy to introduce two NEW resident bloggers to our team of experts! Alongside current resident bloggers, Bjorn Nasett (fashion) and Merri Cvetan (home décor), fashion and beauty consultant, Rachel O. Beauty, as well as author and lifestyle expert, Marques Clark, both of the Chicago area, will share their knowledge and utilize their creativity to bring you great style ideas, DIY crafts, as well as shopping advice with both video, step-by-step and informational blogs. 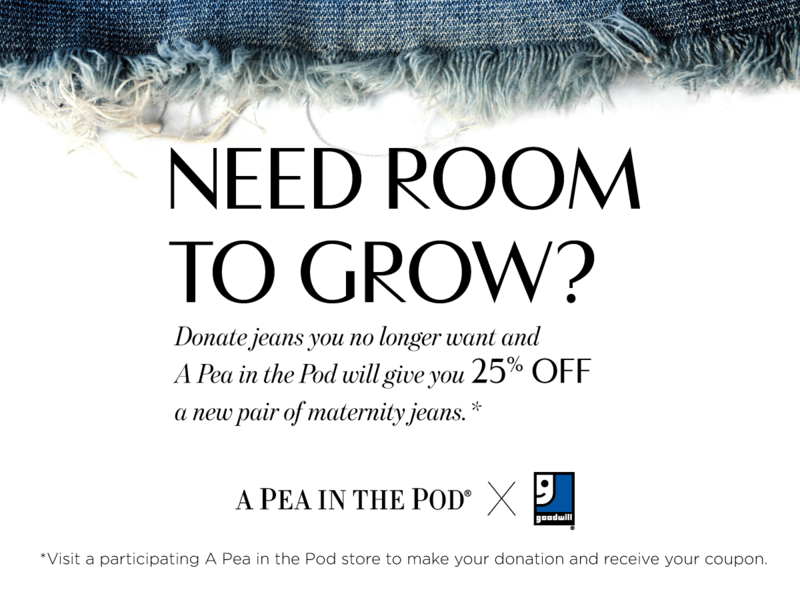 Attention Moms-to-be: From February 16th through March 9th, donate at the *Water Tower Place, Pea in the Pod store (835 N Michigan Ave, Chicago, IL 60611) and receive a discount on new maternity jeans for YOU! All jeans given to the store will be donated to Goodwill. 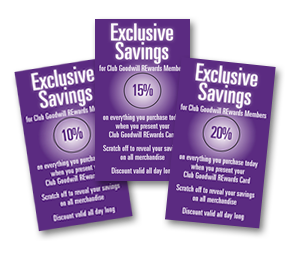 Get your scratch-off ticket for a 10%, 15% or 20% discount on February 15th ... and, if you make a purchase on the 15th you'll also receive a coupon to come back on the 16th, 17th and 18th for 20% off your entire purchase!